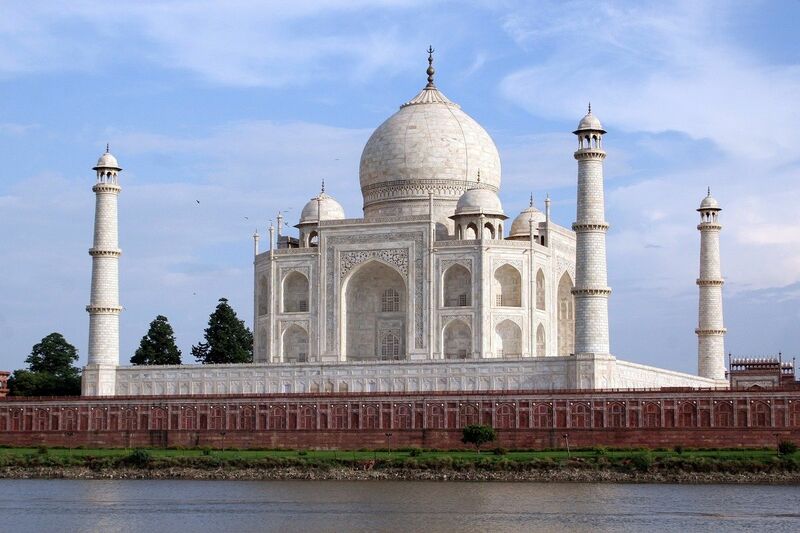 One of the Seven Wonders of the World, the Taj Mahal is the crown jewel of India. 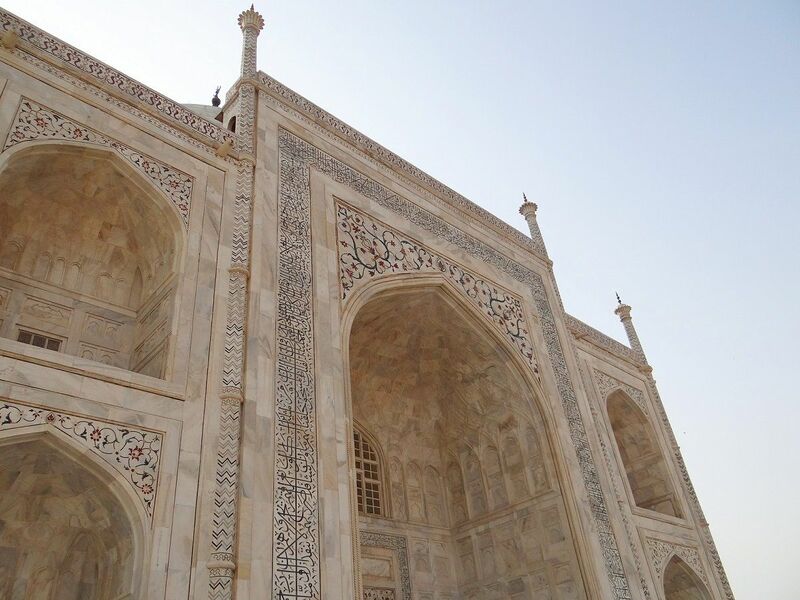 A truly exquisite piece of architecture, the Taj was built on the orders of Shah Jahan in memory of his wife Mumtaz. 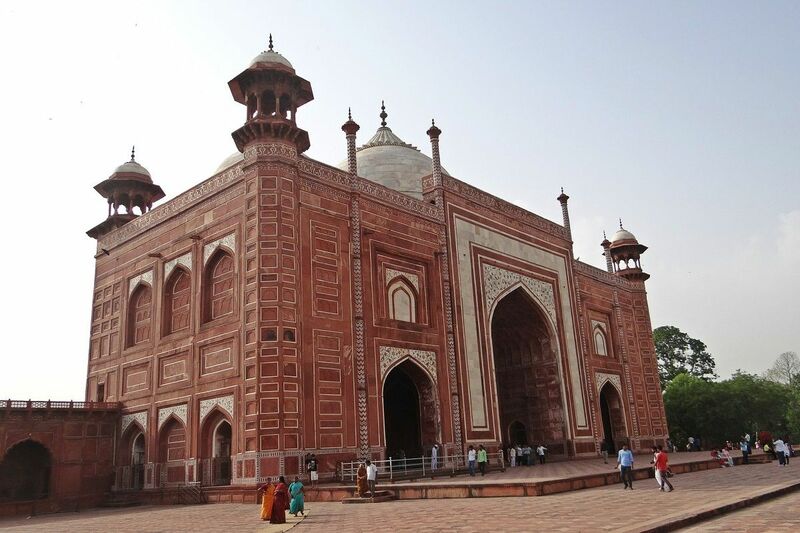 The immense mausoleum today serves as an iconic example of Mughal Indian architecture. An early 17th century iconic landmark and the top tourist attraction in the city of Agra, the Taj Mahal is bordered on 3 sides by red stone walls and the river Yamuna on its fourth side, all combined to make it look like a fairy tale sight. The monument is nestled in splendid gardens that have a symmetrical layout, which begins from the main gateway up to the mausoleum. The gardens have walkways which lead to more paths and squares surrounding the monument. A central canal meanders through the walkways. By the main gate is a bench on a raised platform that’s said to provide the best angle from which to take photos. Spread across 42 acres, the site also has a mosque and guest house. The entire structure is made of pristine white marble and features a dome that rises 73 meters. Its color had begun to change over time due to pollution but restoration work is ongoing and the structure’s maintenance is given utmost attention. You will be spellbound by the artisanry and craftsmanship visible on the walls. Semi-precious stones such as lapis lazuli, turquoise, amethyst and crystal are laid out in intricate designs all across the mausoleum. Adding to its vastness are 4 slender minarets that flank the dome on its 4 sides. The minarets are so constructed that should the area be struck by an earthquake, they would fall outwards rather than crash on the main structure and damage it. For a structure so elegant and famous, the Taj has its share of legend and rumor that your Agra tour guides will enthrall you with. One gruesome story that has passed down through generations is that the hands of the architect and workers were cut off such that they could never replicate a similar structure. While the monument was inspired by love, it also bears this terrible stamp of cruelty. 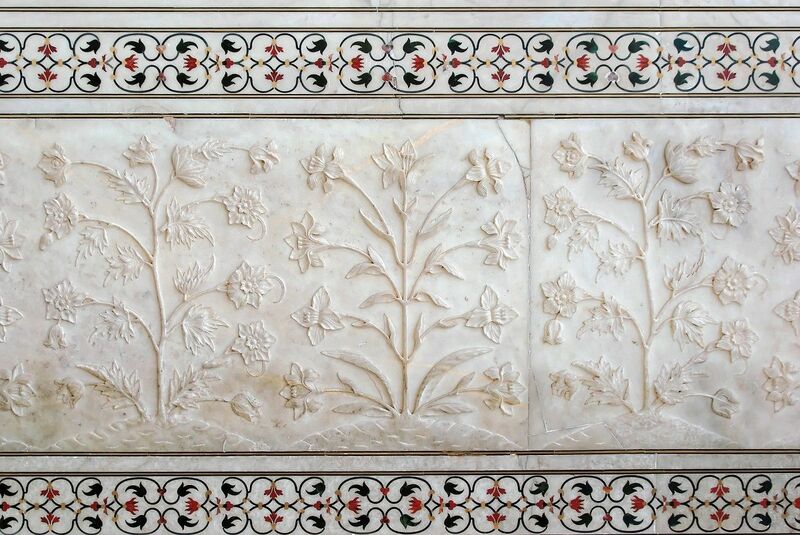 Visitors should spend some time exploring the striking interior of the mausoleum, where more of the beauty of this iconic monument lies in the painstaking details. Here you can gaze in awe at the inlaid semiprecious stones and carvings, as well as the Koran verse calligraphy, which create an enchanting mood in the space. The exterior of the monument is equally impressive. 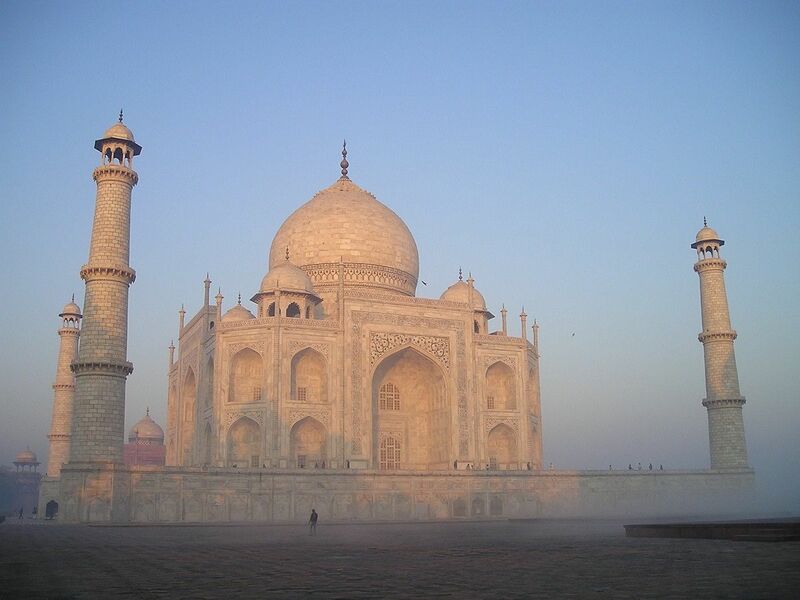 One amazing fact about the Taj that is unknown to many is that it changes its color depending on natural light. In the morning light, it beckons with a pinkish color, in the evenings, it is a milky white, and the moonlit sky transforms it into a golden sight. Visitors can watch as the clean white marble of the walls changes tone and color to match the mood of the outside world, such as the golden light of the full moon or the rosy glow of dawn. This enchanting transformation is what draws many tourists back for a lingering second look at the Taj Mahal at different times of the day. Irrespective of the time of year, the monument is always thronged by tourists. Open from 6am to 7pm with the exception of Fridays for prayers, the Taj Mahal is also open to a limited number of visitors for some moonlight viewing on specific days. 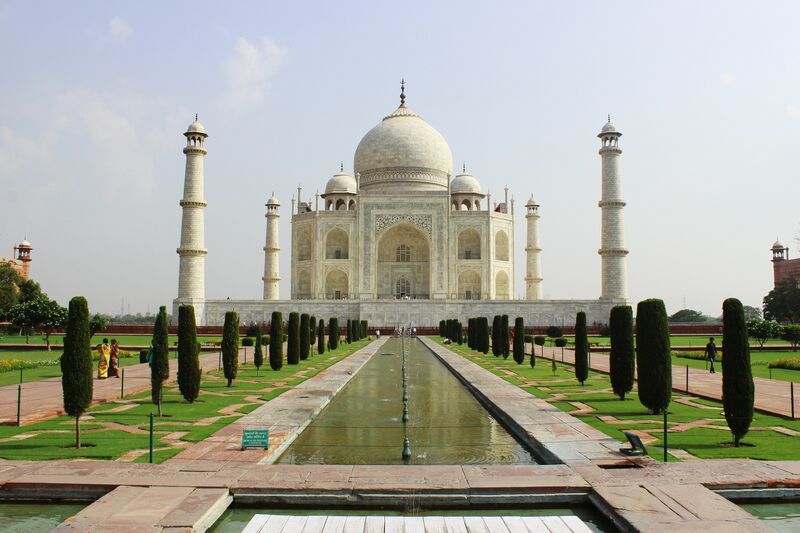 Because the attraction is often busy, Agra travel guides typically recommend that the best time to enjoy it with some solitude is in the early or late hours of the day.